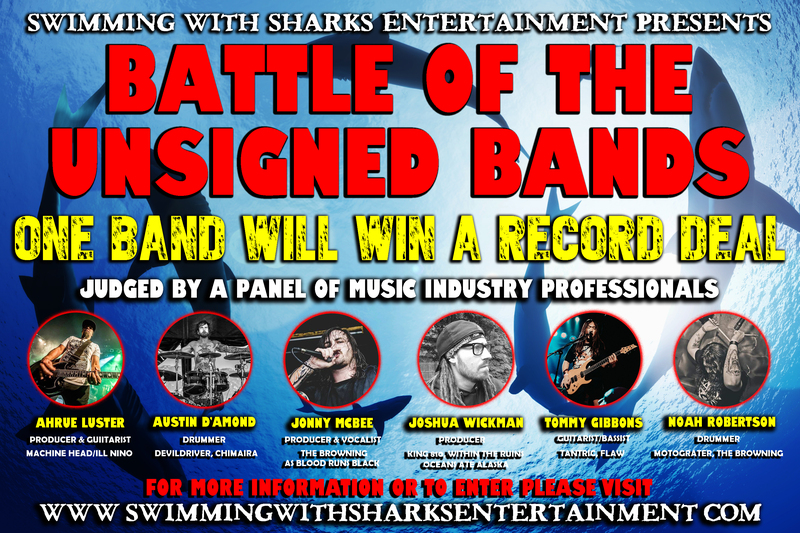 Swimming With Sharks Entertainment is pleased to announce a unique competition, a Battle of the Unsigned Bands, in which the winning artist will WIN A RECORD DEAL. The only requirement for entering the contest is to submit ONE SONG in the form of a link or video. This is a worldwide competition open to anyone and everyone from all over the world, who are not signed to a major label record company. The goal of this competition is to find talented, hard-working bands and help them take the next step in their careers and get their music to the masses. *This event is taking place ONLINE only. There is no public showcase currently scheduled. Online voting ends January 1st, 2018. The Battle of the Unsigned Bands Contest was created to help up-and-coming, unsigned bands gain exposure and be placed in the hands of highly experienced music industry professionals. SWS is offering great opportunities, prizes and the chance to get your music heard by judges consisting of high-profile recording artists and music industry professionals. 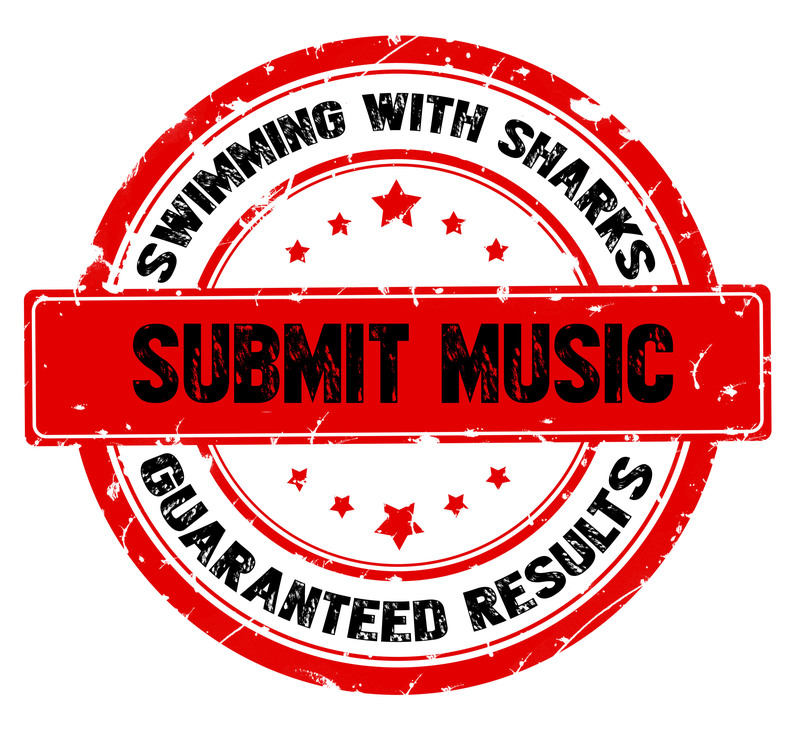 A ONE YEAR, Worldwide Deal with either Swimming With Sharks Records or Zombie Shark Records (depending upon the artist’s genre/style). This includes Worldwide Digital Distribution to all major outlets such as iTunes, Amazon, Spotify, Google Play, Deezer, Tidal, and many more. Professional Marketing, Promotion, Public Relations, and Ad Campaigns focusing on your group and/or music release. Guaranteed Radio Play, Magazine Features, and more. Dedicated Album Review Campaign including Submission to Media Sites and Review Sites. Feedback from high-profile recording artists and music industry professionals. Consulting and Artist Development from experienced music leaders. You must be an artist, group, or band that is NOT SIGNED to a record label. You must have a recording (Single, EP, or LP) that is READY to be professionally distributed. This includes artwork and wav files, finished/ready to go. All music and genres are accepted, however your music must not contain hate speech. STAGE 1: After all submissions are received an A&R team will review all submissions and decide which artists will be moving on to the next round. STAGE 2: A list of bands will be posted online and the general public will be prompted to vote for their favorite bands. STAGE 3: Our team of qualified judges will decide which band takes the GRAND PRIZE. STAGE 4: The winner will be announced in January of 2018. We are currently not accepting any more submissions. Another contest may launch in the future. Thank you!